4. Generous Distributor – Books, CDs, DVDs, etc. Sometimes a targeted gift can make a massive impact. I can think of four or five life changing books that every Christian should read. I can think of more that not-yet-Christians could benefit from. Here’s the challenging question . . . why don’t I have a stock of these books to give away to contacts? 5. Multiplicational Mentor – Get someone close and pour into them. It could be knowledge and training, but it could also be networking and ministry exposure. 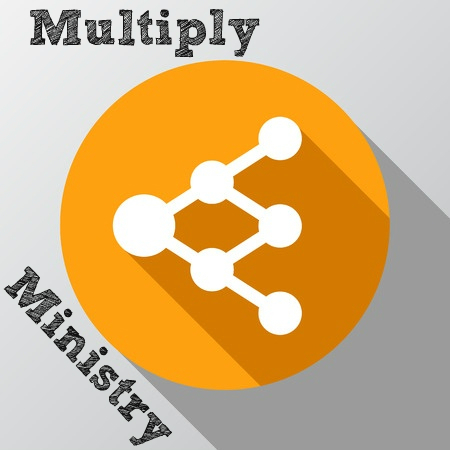 If, by God’s grace, you are living a life of ministry impact, it will only multiply by letting others get close. If you aren’t, why are you preaching? 6. Ministry Champion – If there is a ministry you believe in, champion it. It doesn’t take much to offer genuine support and encouragement to the ministry of another. Endorse, pray, champion, network, encourage, text, fund. What ministry beyond your own church do you cheer for? 7. Community Involvement – If your church is part of a community, it makes sense to have some involvement in that community. Being on the board of a local school, or having some sort of presence with the local council, or . . . find a creative opportunity in your locale. This is not just about evangelistic influence, although it should never be less than that. 8. Book Reviewer – If you read books, which sadly seems to be optional these days, why not write reviews so that others can benefit? Put them online, in a journal, on amazon, etc. There must be so much more, please share any ideas and let’s see what can be multiplied. Thanks again for your articles. I’ll be interested with your lists of great books to read for Christians and non-yet-Christians… can you share? Interesting, what are they? My thoughts immediately jump to Lewis’s Mere Christianity and The Lion, the Witch and the Wardrobe, Chesterton’s Orthodoxy, Arthur Wallis’s The Radical Christianand Brennan Manning’s Ragamuffin Gospel, but I bet yours are much more scholarly. Good list, Mike. My list would not be primarily scholarly . . . I am a fan of people being able to engage what is communicated to them. Just as in preaching, I want to do the scholarly work in my prep, but I don’t want to let it show so as to distract, put-off, intimidate, etc. Thanks for your articles. I’ll be interested with your lists of great books to read for Christians and non-yet-Christians. I find it interesting, practical and needed.